12-Week-Old Puppy 'Latte' Rescued After Being Picked Up By An Owl From His Foster Human's Backyard! 12-week-old puppy, Latte, was snatched by a huge owl from her foster home. However, she was rescued soon as the owl dropped her at the golf course! 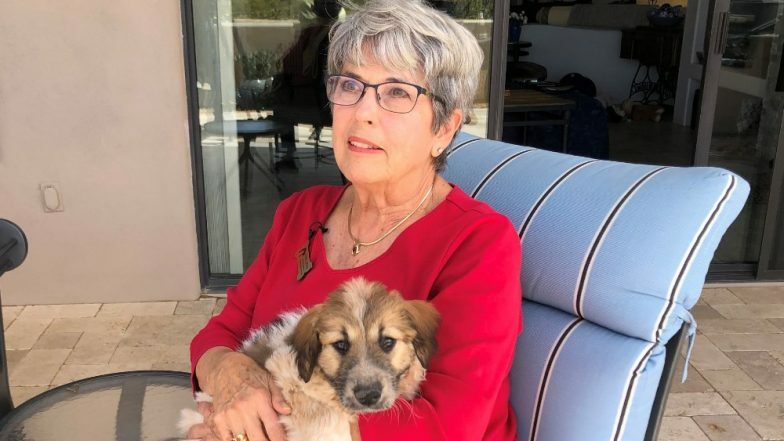 Foster career Bonnie Ziegler, who has four puppies under her care, let out her pups in her North Scottsdale backyard when the incident took place. After 12 hours of disappearance, a group of golfers at the Troon Golf Club found puppy Latte injured and dehydrated under a tree near the course. They took a picture of the pup and posted it on Nextdoor which caught Ziegler's attention. Sadly, the puppy had various injuries but had no broken bones. “Incredibly, Latte survived and after a weekend at the emergency veterinary clinic, she is back with her foster family and doing well,” Foothills Animal Rescue said on Tuesday. Latte is currently under foster care but is looking for a permanent home. As she recovers from her injuries caused by the owl's talons and the fall, Ziegler is looking for a parent for the puppy. A donation of $6,090 was received by the pup's supporters which cleared out all the hospital bills!